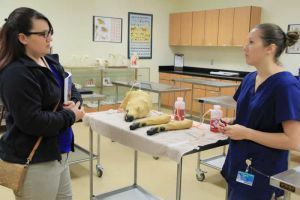 More than 50 visitors turned out for Pensacola State’s Veterinary Technology program open house held Nov. 10 on the Warrington campus. Visitors had the opportunity to meet the Vet Tech program instructors and tour the college’s state-of-the-art facility in Building 3200. 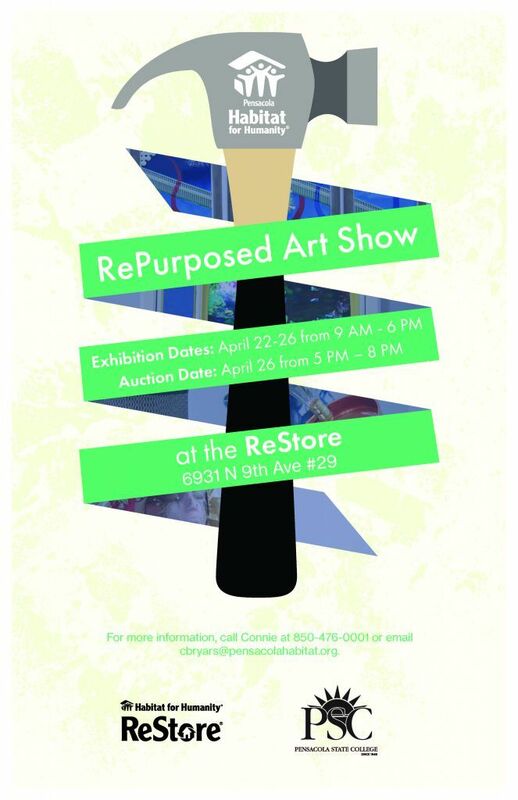 The event also included financial aid information, a student association exhibit and refreshments. The two-year program covers a wide range of skills including animal behavior and husbandry, clinical procedures, anesthesia, lab diagnostics, medical and surgical nursing, radiology, dentistry, and office management. Several of the visitors said they were impressed with the program which is nationally accredited by the American Veterinary Medical Association’s Committee on Veterinary Technical Education and Activities. Ruthie Smith echoed Laurent’s sentiments. “We are the ancillary staff for veterinarians. The responsibilities of a vet tech can include radiology, surgical assisting, even administering anesthesia and more. It’s not an easy program, it is challenging but very rewarding,” she said, adding students complete supervised clinical rotations at approved area veterinary hospitals. Pensacola State offers the only Vet Tech program in Northwest Florida. 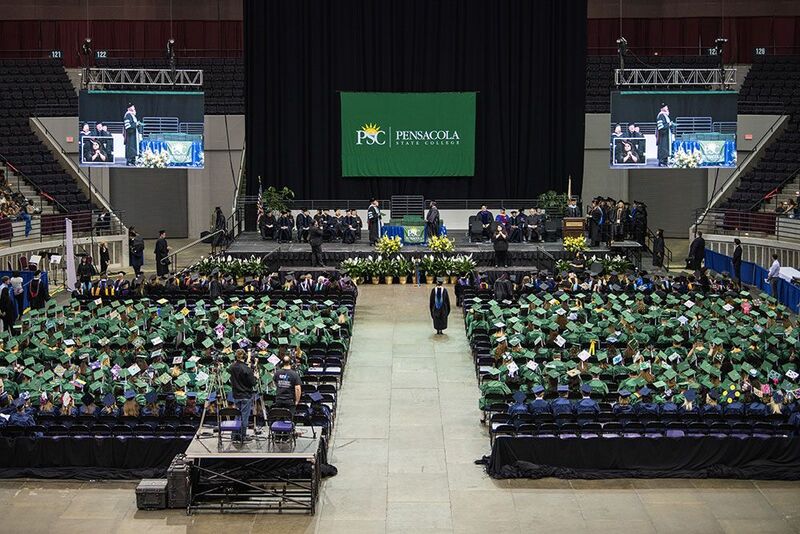 And since it is accredited, program graduates can sit for the national board exam to earn credentials in the state where they choose to practice. She noted the program not only attracts students from Florida – but Alabama, Mississippi, Louisiana and other states. Also, vet technicians can find employment opportunities in veterinary hospitals, biomedical facilities, wildlife facilities, academia, industry and more. Employment of veterinary technicians is forecasted to grow 19 percent nationally, faster than the average for all occupations, through 2024, according to the U.S. Bureau of Labor Statistics.